Please click on the image below to view the article (includes all the details about this wonderful event being hosted by our good friends Space Coast Angels!) You can also click here to view our calendar event. 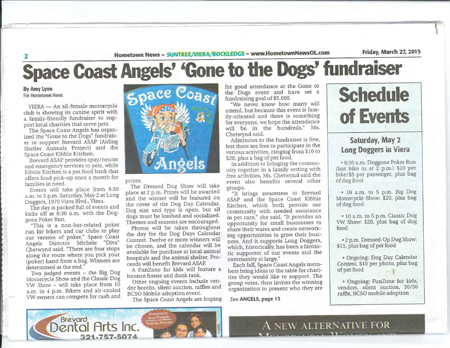 Click the image above to view the full Hometown News article (3/27/2015) about the Space Coast Angels and their upcoming “Gone to the Dogs” fundraiser!